Commuting is tough for people living in big cities plagued by air pollution, traffic congestion and an energy crisis. Urban people usually commute within a radius of 5-10 km, a distance too far to walk and too difficult to find parking or taxis. In China every day there are more than 100,000 people moving to cities, and they all need efficient methods of transportation. Coolpeds is a ultra-lightweight electric scooter brand that aims to provide last mile solution for local commuters. Weighing in at 6-9kg, the company’s flagship products are easy to ride and fold in seconds, making them convenient take anywhere, whether on the subway, in offices, or on planes. The scooters contain a high-torque, chain driven motor and uses a sealed lithium battery which can be fully charged in three hours. While riders are zipping around their neighborhood at up to 20 miles per hour, they can monitor their speed on an LCD display with cool blue lights supported by front and back suspension. In addition, users can charge their smartphones through a USB socket. Tony, Coolpeds’ latest product, is a scooter, briefcase and mobile charger combo. 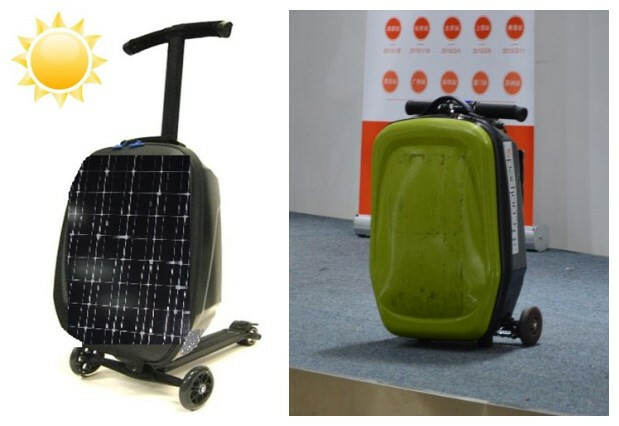 The product has an anti-theft function which sounds an alarm when out of a pre-determined safe range, and a solar panel on the suitcase cover as an optional power source. Tony is aimed at a wide range of consumers including university students, office staff, travelers, photographers, cosmetician, and supermarket shoppers. In addition to its hardware, Coolpeds is developing an accompanying app, where riders can monitor its speed and distance traveled, and find optimal driving routes. 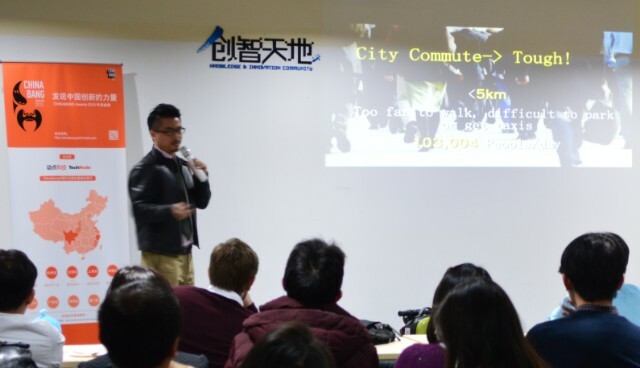 CEO Tony Chan added they are planning to integrate health sensors into the scooter, helping users understand their environmental surroundings. Coolpeds is led by founder and chief architect Tony Chan, who has run successful product design, manufacturing, and distribution businesses in the U.S. and China for over 10 years. After graduating from UCLA, Tony worked at Accenture in Los Angeles and Microsoft in Seattle as a software developer. He then founded a manufacturing and trading company operating in Los Angeles and China.